We started the week with killer clowns, death gods and scary cults, so it only seems fitting that we bring the working week to an end with the very devil himself (and maybe that's why it's so fiendishly hot in L.A. at the moment). 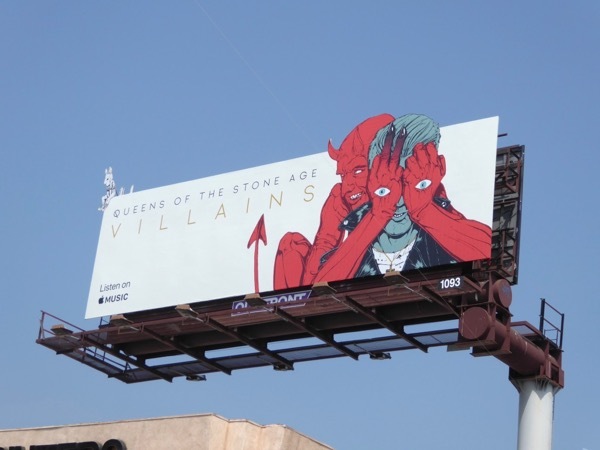 Today's eye-catching 'Villains' billboard is for the seventh studio album from California rockers Queens of the Stone Age with cool artwork by graphic artist Boneface (who also created the cover artwork for their last album ...Like Clockwork). 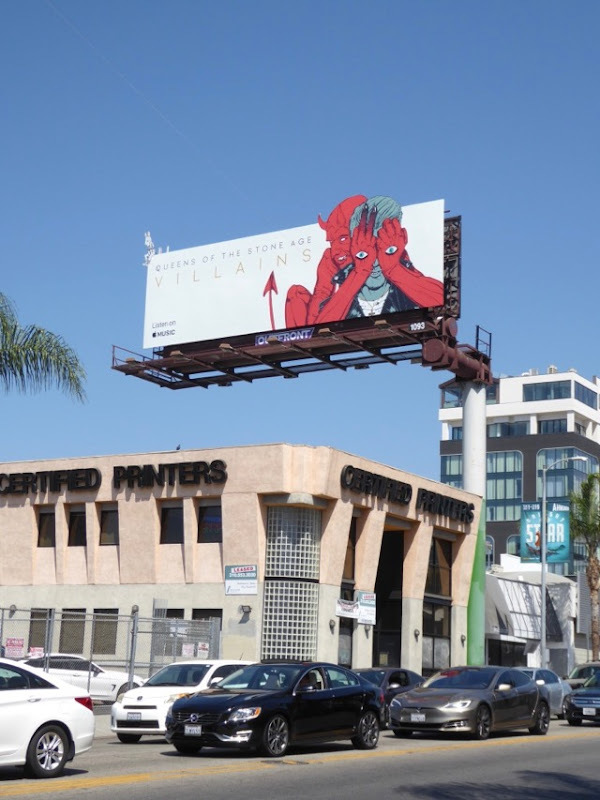 And to make this album billboard stand out even more, the spooky eyes pulse and glow at night in the skies of Hollywood. 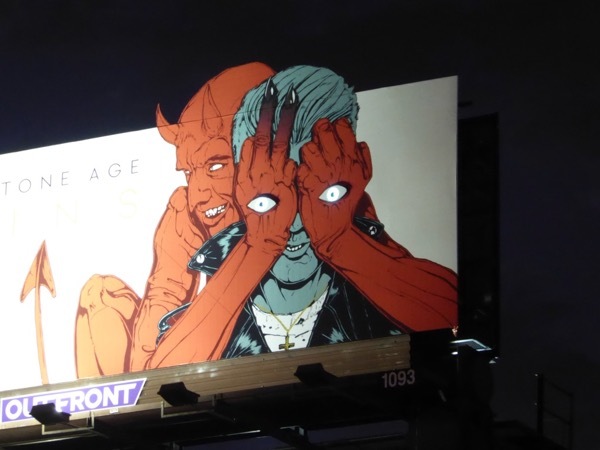 The standard landscape billboard was first spied on August 24 and the billboard with the glowing eye embellishments created by the clever folks at Atomic Props & Effects were photographed by day and night above Cahuenga Boulevard near Sunset Boulevard on August 28, 2017. Plus be sure to check out the demonic eyes in action in this short video of the installation. 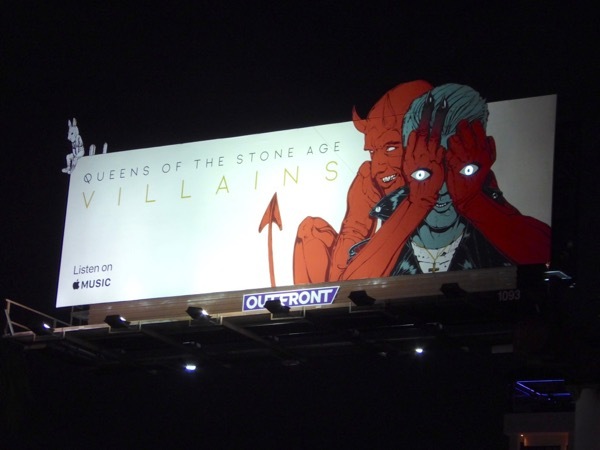 Fans of the American rock band can also enjoy this Queens of the Stone Age Like Clockwork billboard from 2013. 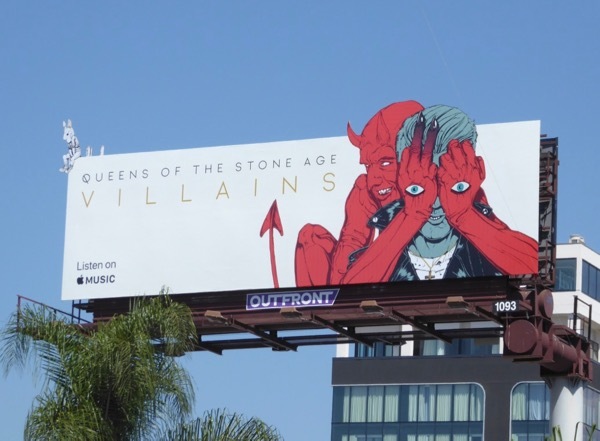 The album dropped on August 25, 2017, and is streaming now on Apple Music, so if you need some new tunes to rock out to this weekend be sure to play Villains loud.